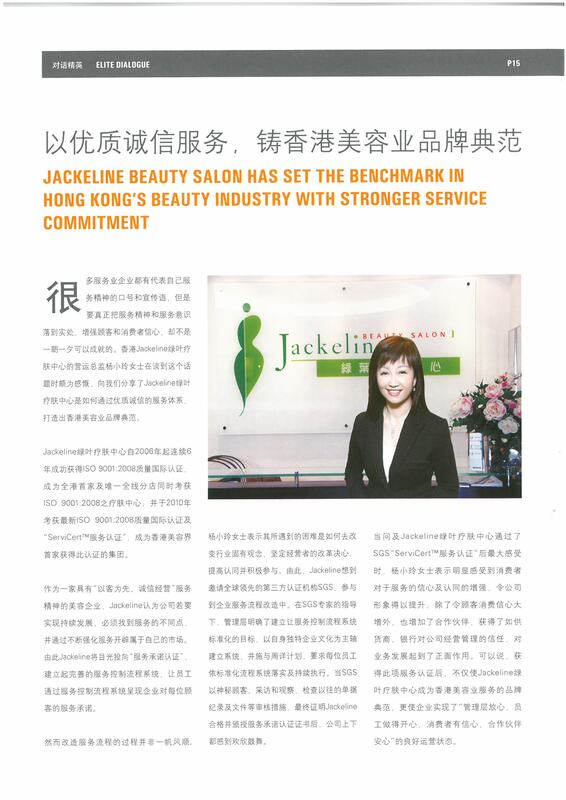 In a bid to demonstrate their customer-first value and prioritize service excellence, Jackeline Beauty Salon has worked with SGS in the reform of service workflow. Thanks to SGS’experience and expertise, Jackeline has been able to implement a custom-built service-monitoring system. Every employee plays a critical role in the system. SGS has been keeping track on the implementation through document checks, regular audits and reports from mystery customers until Jackeline has been awarded this service commitment certificate. Ms Jackeline Yang, taking the helm of her eponymous beauty outlets, opined that having SGS “ServiCert™”has not only set them apart from other competitors in this fiercely competitive industry, but also improved their operation management which garnered the approvals of happy employees, loyal customers and supportive partners. SGS “ServiCert™”in instrumental in reaping benefits from operational efficacy to a trustworthy brand level. © Copyright Jackeline Beauty International Group Limited All Rights Reserved.